re press - vacuum bag for kite „vacuum packed kites“ The most limiting factor during traveling is the lack of free space in your baggage, especially when kites take up a great deal of space. 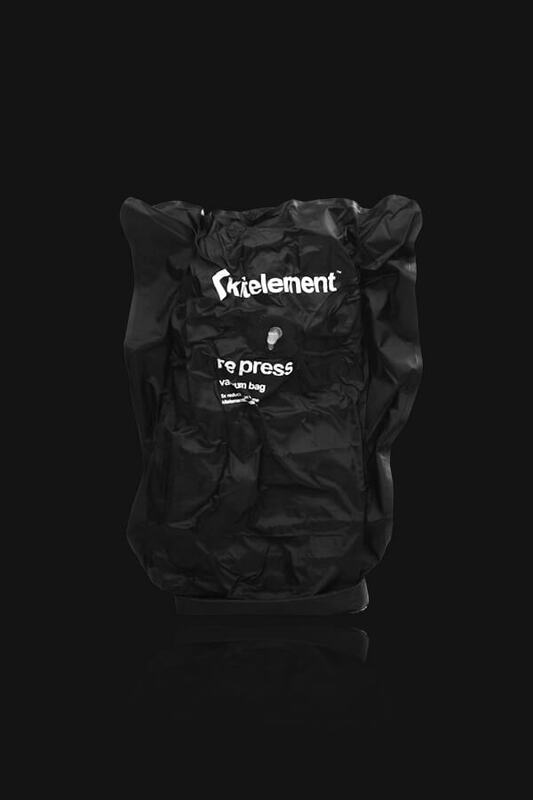 The re press Vacuum bag offers a solution by reducing the volume of the kites up to 5 times. The bag can also be used as a universal bag protecting other gear from sand and water. We used exclusively resistant and maximum quality materials for the longest possible working life. Re press is designed for all those who want to save the maximum amount of space in their travel baggage. The most limiting factor during traveling is the lack of free space in your baggage, especially when kites take up a great deal of space. The re press Vacuum bag offers a solution by reducing the volume of the kites up to 5 times. The bag can also be used as a universal bag protecting other gear from sand and water. We used exclusively resistant and maximum quality materials for the longest possible working life. Re press is designed for all those who want to save the maximum amount of space in their travel baggage. The main advantages of the re press Vacuum bag lie in the fact that it is made from resistant and washable material and its rubber inflation valve. The dimensions of the bag are made to contain various sizes of kites from 5-15 m. Keep in mind the size of the kite has no influence on the ability of the vacuum bag. Just insert a well folded kite into the bag and carefully roll the plastic cuff. Solid packing ensures that the vacuum stays tight for the longest possible amount of time. Each bag can be deflated in a minute using our classic pump. The kite´s volume is then reduced up to 5 times. 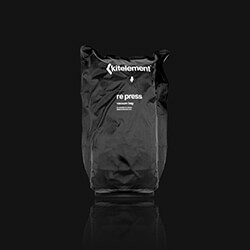 The re press Vacuum bag holds 100 % of the vacuum for approximately 8 hours. Then, thanks to micro holes made by the rolling of the free part, it grows in volume by approximately 20 %. We recommend to to deflate the bag several hours before the trip and insert the bag into the baggage. Outer pressure from the other gear will ensure the vacuum stays tight for the longest possible period of time. The re press bag is made to contain any kite 5 - 15 meters in dimension.